In India, almost everyone desires to have a good, systematic, and spacious kitchen. We always have the urge to choose our kitchen cabinet as per our choice. But when it comes to small kitchens, space and beauty both need to be given equal preference. Which is why, a lot of modular kitchen designs for small kitchens are coming up to address both these needs. 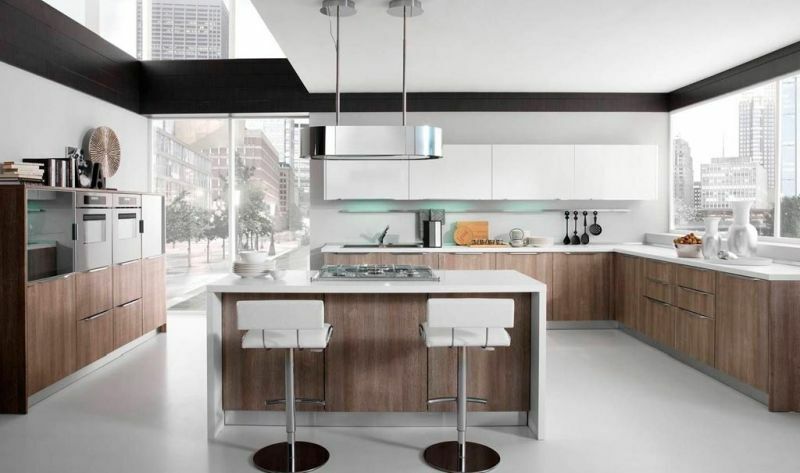 The beauty of a house increases manifold if it hasa modern kitchen design with elegant colors. True that the piping works, faucets, countertop, and other different appliances also play a major role within a kitchen, but there is nothing like a good kitchen interior. A good quality flooring and wall design are also included in this regard. One of the surest ways to ensure that this comes out right is to hire the right professional who has the perfect knowledge regarding kitchen interiors. You choose the design and let them implement it to the best of their understanding. The trend of modular kitchen design ideas 2018 has now become famous and it has the potential for staying here for a very long time. Here are some of the trendiest examples. The best way to organize your kitchen is to sort it in a combination of contrasting colors. Speaking of red shades, modular kitchens in red are quite popular nowadays. These use a combination of red and white, or maybe some other complementing color. Red color always represents passion, lust, the ever-bloomingflavor of love, and also hunger. 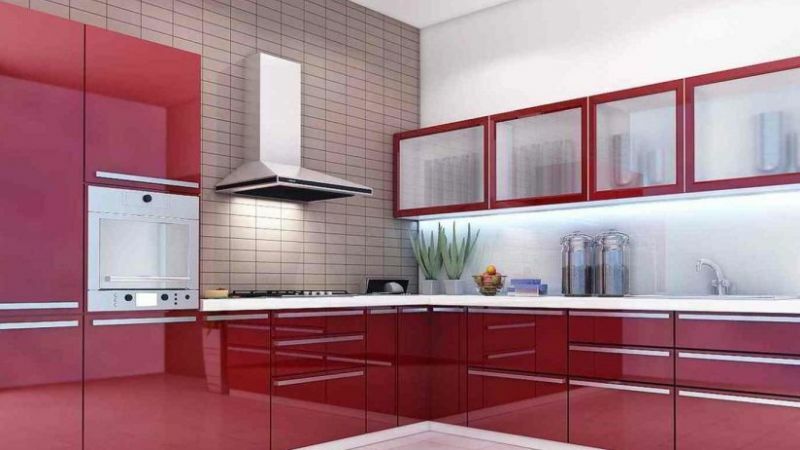 These red modular kitchen design ideas 2018are gaining more popularity in many places. Modular red kitchens with the cool design of sinks and well-furnished cabinets impart an attractive look. In fact, this color for modern kitchens is also chosen by many fast food corners for the sake of standing out from the rest. 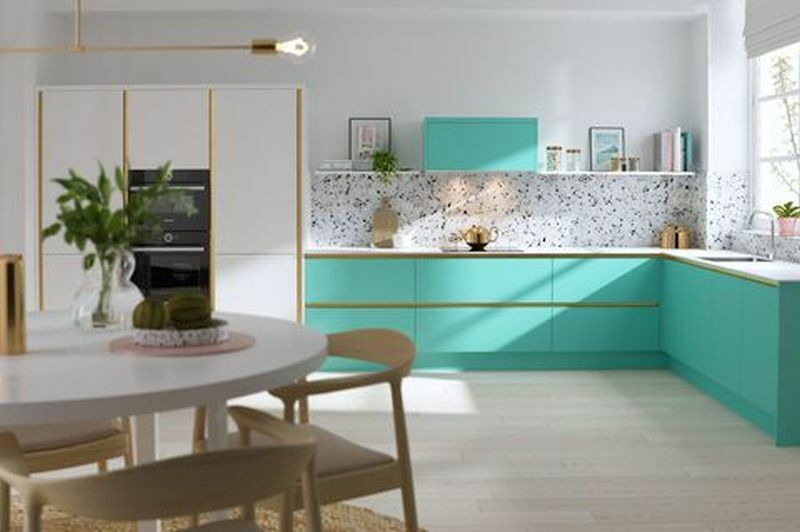 Pastel colors are pretty popular in plenty of modular kitchen designs catalogs. The contrast of bolder colors and different pastels in blue, pink, yellow, and green give it a mesmerizing effect. Warm neutrals and gold accents are yet another option for modular kitchen designs ideas. These colors are cool,soothing, and make the room look larger and more spacious, which is the primary need for a small kitchen with limited space. Laminated kitchens are one of the most sought-after modular kitchen designs for small kitchens. These involve a simple manufacturing process, unlike the wooden and lacquered ones. It is actually a decorative sheet made with layers of paper. Laminate kitchen designs double up by covering for cabinet doors and walls. Doors of cabinet covered with these treated paper give an elegant, polished, and classy look to the kitchen. They also come in designs which are not too brightand succeed in giving out asort of matte finish. This look is inspired by the 1950s. Nowadays, these vintage designs are recreated for better convenience. 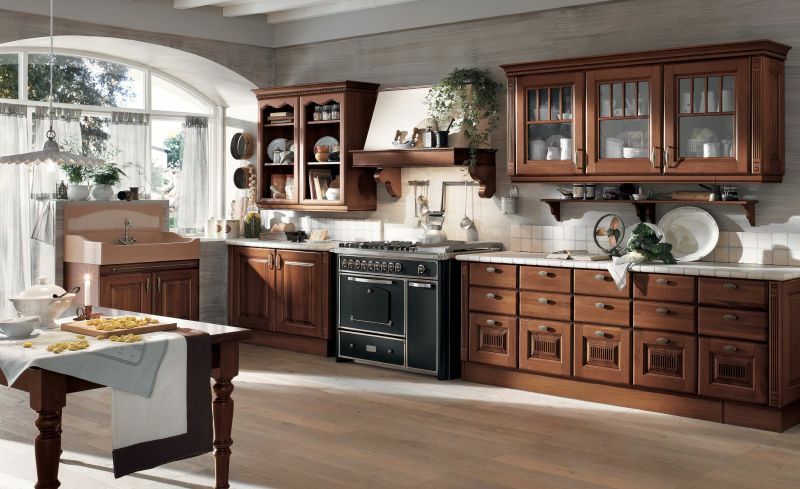 It imparts to your kitchen the warm vibe of natural wood and the paint gives a soothing finish to it. If you are looking for better designs, resort to modular kitchen designs catalogfor the trendiest of styles in use currently. These designsmostly suit the ones staying in luxurious apartments, but have limited kitchen space. The cabinets and shelves in this type of vintage style kitchen designs are tucked away to the walls so that it saves ample space and gives out a neat appearance. It uses light pastel hues with aluminum finish for the cabinets. There are a variety of modular kitchen designs for small kitchensfrom which youcan choose whether you need a traditional, modern, retro, or vintage look. In fact, there are many kinds of hobs, sinks,and chimneys available. Nowadays, even geometrical designs are used in kitchen layouts. Lighting also plays an important role in designing kitchens. Keep in mind to use the most stylish and practical of modular kitchen designs ideasto design your cabinets in such a way that they save you space and are properly adjusted. There are many kinds of layouts for designing kitchens like the l- shaped, G-shaped, and U-shaped kitchen layouts. Open island and normally closed kitchen layouts are also in the run. Always design your kitchen like a professional would. Or better still, hire one.